OK, OK. In spite of all the times I have said to leave your driver at home if you aren’t breaking 90 yet, you bring it anyway. So ignore me. But only if you do this drill so you can learn to actually hit the [expletive deleted] thing. Go to the range with just your driver (like half the other people there do). Get your bucket of 60 balls and do exactly this when you hit each ball. The same thing every time. No deviation. Take your hands back, slowly, to the height of your shoulders. Or to where your left arm lies parallel to the ground. Now make a smooth, SLOW, rhythmic pass back through the ball, like you’re hitting a gentle lay-up. Remember to swing the club through the ball with hands ahead of the clubhead. If you do this right, you will hit the ball squarely on the center of the clubface. THAT is the key to hitting your driver. Do not be concerned at all about how far the ball goes or even in what direction. That is totally irrelevant. Be concerned about one thing only — making contact on the center of the clubface. If that’s not happening, try slowing down your swing a bit more. If there’s still no joy, make sure your hands are ahead of the clubhead at contact. Do not manipulate the club to get the result we’re looking for — smooth out your swing instead. Once you get the idea, keep doing it. Over and over. Same thing. Do not think, “I’ve got it!” and start pounding the ball with your full swing. Keep making these slow mini-swings to pound the sensation of a centered hit into your unconscious mind. When you’re finished, you will have hit 60 balls with a driver and maybe none of them went over 150 yards. But most of them were struck on the CENTER of the clubface. With this driver drill you are getting expert in the one thing you have to do with this cub — hit the ball on the center of the clubface. Keep at this drill, and once you get VERY GOOD at it, you might speed up the swing a LITTLE BIT and make the swing a LITTLE BIT longer. But not much. Add to what works in tiny increments. What about playing? Well, if you wanted to use this swing when you play, could you live with being in every fairway? As you get better at the drill and extend your movement, gradually, without getting greedy, the distance will come, and you’ll still be straight. The driver might become your favorite club in your bag. Swing Up With Your Driver? Really? The advice you read these days is that your driver should be arcing upward when it makes contact with the ball. 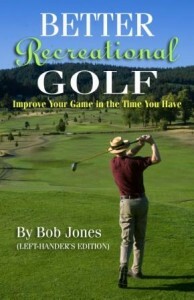 True enough for recreational golfers. There are some instructors, though, who would have you learn a swing separately for your driver so that could happen. I won’t argue with them, because they might well be right in that that would be ideal way to play golf. 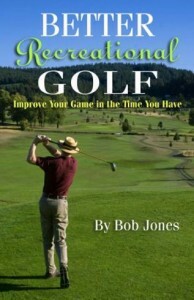 But recreational golfers who have time to make one trip to the range per week, and play one round of golf per week, don’t have the time to develop two swings. 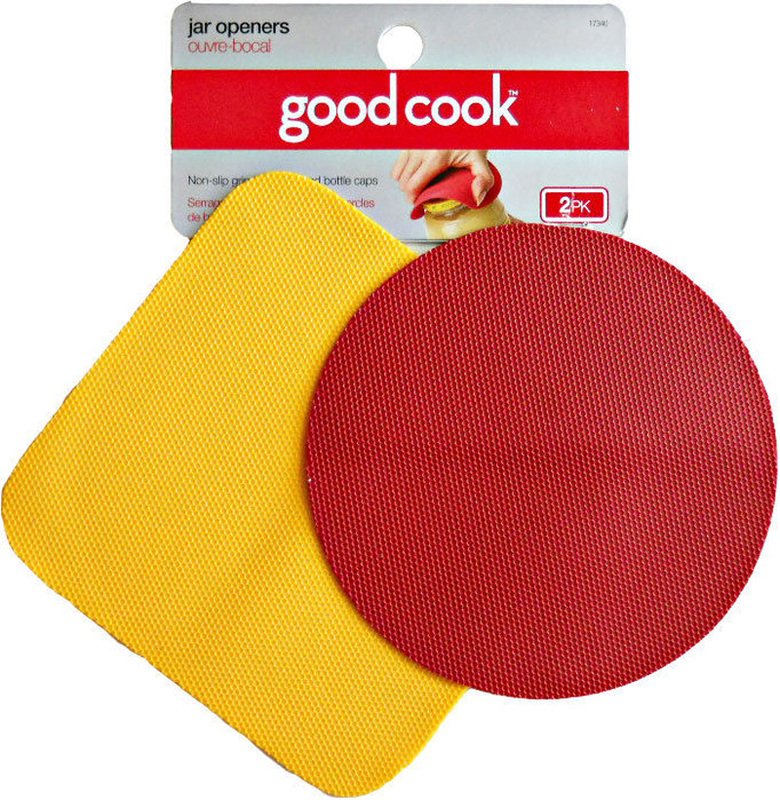 Getting good at just one is hard enough. So here’s what you don’t have to do to be swinging upward with your driver. – You don’t have to deliberately swing up at the ball. – You don’t have to tilt your stance away from the target when you set up to the ball. 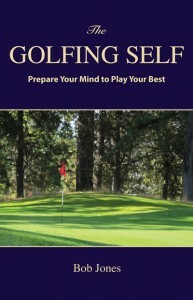 – You don’t have to tee the ball higher or tee it up way forward in your stance. None of those things. All you have to do is use your normal stance and your normal golf swing. I figured this out when I was working on my swing with a 6-iron and no ball. I found that the club kept hitting the ground about thee inches in front of the ball. This means I would have hit a golf ball lying on the ground while the club was still going slightly down, like we’re supposed to. But three inches isn’t that far in front of the ball. After that, the club would have to start arcing upward. I laid out a few alignment rods as shown in the picture. The orange rod points to the center of my stance, where I would place the ball for an iron shot. The tee peg points to a spot three inches in front of that, marking the bottom of my swing. The yellow rod points to the ball on a tee, even with the inside of my left heel. As you can see, the yellow rod lies well in front of the bottom of my swing (tee peg). That means when the driver bottoms out three inches in front of the orange rod, it has plenty of time to be arcing upward when it contacts the ball. When I started swinging normally at a teed-up ball, using the same swing feelings that I do when I swing an iron, the ball just took off. Remember, all the clubhead has to be doing is moving a few degrees upward. By using your normal swing, that will happen. One swing is hard enough to learn. Fortunately, that one swing is good enough for everything. The driver is probably the recreational golfer’s most important club. If you put the ball in the fairway, you have a chance for a par. If you miss, the odds are considerably lower. Here is one way to tame a difficult club. You have to get two things right at impact to hit the driver straight. First, the clubhouse to be travelling toward the target. Second, the clubface has to square to that line of travel. Let’s take up the second one first, because it involves the backswing. The clubface will remain square to the swing path if the angle in the left wrist is the same at the top of the backswing as it is at address. Stand upright with your hands at your sides. Now reach up with your left hand and put your palm on your right shoulder. You will see that the angle in your left wrist is the same is it was when your arm hung at your side. This is what I’m talking about. Get into your stance with your driver and take a backswing, stopping at the top. Let go with your left hand and the left arm hang down as it will. 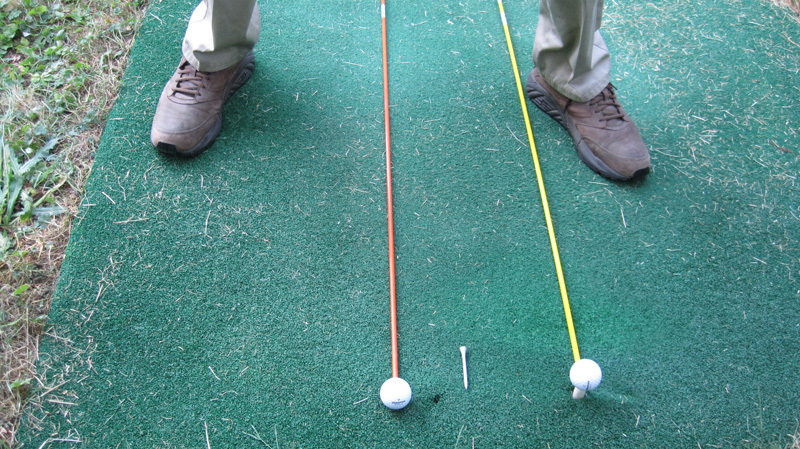 Now reach up with your left hand to touch the club handle with the underside of the fingers of your left hand. Again, you will notice that the angle in your left wrist has not changed. Get into address position gain. Before you take the club back, imagine a line about six inches long extending away from the ball toward the target. I’ll come back to this later. Now swing up with both hands so your left wrist is undisturbed as I have been describing. Unless you do something really silly on the downswing, the clubface will be square at impact. I will now describe how to swing the club down and through the ball so it goes right at the target. Imagine your upper body is in a cast from your waist to your finger tips. None of that can move a bit. Swing down by easing your left hip toward the target as you rotate your hips into the ball. Your upper body goes along for the ride. When your hands and arms get to about hip height, let them release the club into the ball, using as a target the six-inch line you visualized earlier, as your hips keep turning. Let the club swing right along that line. Two silly things you can do is try to hit the ball with your hands, or leave them behind to get what you think is a late hit. Doing the first will likely close the clubface, and doing the second one opens it. Think passive hands, and keep them up with everything else. They lead the clubhead into the ball, but only by a little. Accompany these swing techniques with the proper 3:1 rhythm and I think you will like the results. By now, you probably know, or should know, that physical tension does not help you swing faster. It actually slows you down. In order to hit the ball a long way, you need to have clubhead speed, and lots of it. True, you need to make centered contact, but that’s another post. This one is about pure speed and how to get it. You get it by being relaxed from head to toe. So you know that grip pressure needs to be light. You cannot strangle the club. Light grip pressure keeps tension out of your hands and forearms. Thus, you hold the club lightly. You could put tension in your legs, too, in the attempt to power the swing through the ball. But you have found out that never works, so you’re not doing that either. There’s one place where you still have tension, and you know it, because your swing still doesn’t feel completely free. Where could that other place be? It’s your upper chest and shoulders. Even though you’re being very good about keeping tension out of the obvious places, you still want to hit the ball hard and the only place left to try to do that is with your upper chest and shoulders. Try it. Swing your driver fully, and if you feel the least bit tight in that area, that’s what’s holding you back from a really long hit. That tension is slowing down your arms as they come through the ball, robbing you of I don’t know how many MPH of swing speed, but it doesn’t matter how much. All that matters is that tension which prevents you from doing your best. There’s only so far you can hit the ball. Some people are longer hitters than others, but everyone has a maximum and most golfers never get close to it. If you were to swing the driver in a slow, free manner, with the clubhead maybe a foot off the air when it passes in front of you, you would feel that tensionless swing. All you have to do now is swing the driver at your normal speed, but with that same lack of tension in your entire body. That’s easy to do, but difficult to trust, because it doesn’t feel powerful. But that’s exactly how it’s supposed to feel — effortless. This is not a power swing, it’s a speed swing, and maximum speed is generated when you are completely free of tension. Try this experiment. Work with this swing for a bit until you feel like you are swinging fully, not holding anything back, but you have no tension in your body. When you think you have it, swing again and listen to the sound the clubhead makes as it whooshes through the impact area. Now swing again, using your normal driver swing, and listen to the whoosh. I’ll bet dollars to donuts that the second swing has a lower pitch than the first one, proving that the clubhead was moving slower. Take this new swing to the range, now, and give it a try. It might take several balls before you decide to just swing freely and see what happens. I’m positive that when you connect, you will see the light. Hitting the ball farther without having to work for weeks on a swing change. How good is that?